The Monash South East Asia Community Observatory (SEACO) is a research platform in population health and wellbeing in regional Malaysia – a high middle-income country. Launched in late 2011, the platform's primary purpose in Segamat is to collect salient and high-quality data to gain insights into the factors that affect health in a whole of life context. We offer our partners and collaborators access to unique data as well as the capability to research specific health and social issues on an existing platform. All primary data collection is governed by strict ethics protocols to protect the privacy of the participants, regardless of the service model. These range across health promotion technologies, diagnostics, drugs and vaccines. They can be used from sampling frames to the complete implementation of community-based clinical trials. Have your research questions included in our routine surveys. We can help with undertaking your data collection on a sample independent of our routine update rounds. We can place higher degree by research students who would use SEACO infrastructure to undertake their primary data collection. We are not a traditional cohort study. 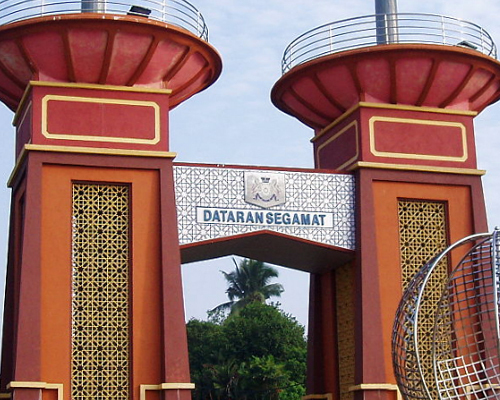 Our expertise lies in us being a partner with the community of Segamat. People from the community work with us, and for us. We have many volunteers who dedicate their time and efforts because they are passionate about improving their community. We are supported by high-profile researchers nationally and internationally. SEACO is cross-faculty, cross-disciplinary and multi-institutional. Our major supporters are the Faculty of Arts (Monash University) and the Jeffrey Cheah School of Medicine and Health Sciences. By collecting salient, high-quality data, we are able to provide the medical research community, government and industry with a solid understanding of the health and social issues facing middle-income communities. This, in turn, allows greater insight into the impact of policy and commercial decisions on the health and wellbeing within these populations. The strength in our data is its relevance to the community. We work in partnership with all levels of the Segamat community through activities such as family days, health clinics, professional seminars and medical education programs. Our platform provides an ideal setting for higher degree by research students, including masters and PhDs. We also support research students from other institutions who are interested in undertaking research through primary data collection, taking advantage of the research infrastructure or through the analysis of secondary data collected by our platform. Click here to stay in touch with our dedicated team at SEACO.